Gorgeous soft pink colour with white dotty pattern.. Ideal length for all ladies clothes, dresses, coats, trousers etc. 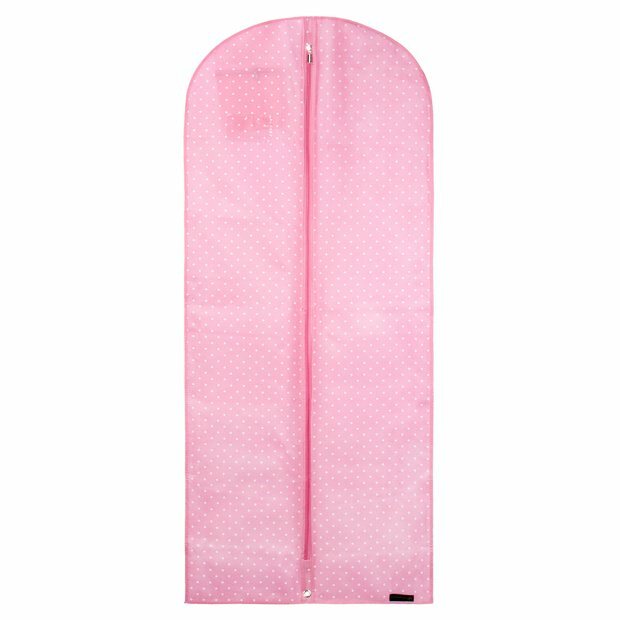 Ideal all purpose clothes cover. For use when travelling and storing. Size: Length x Width 60'' x 24'' (152 cm x 61 cm) approx.